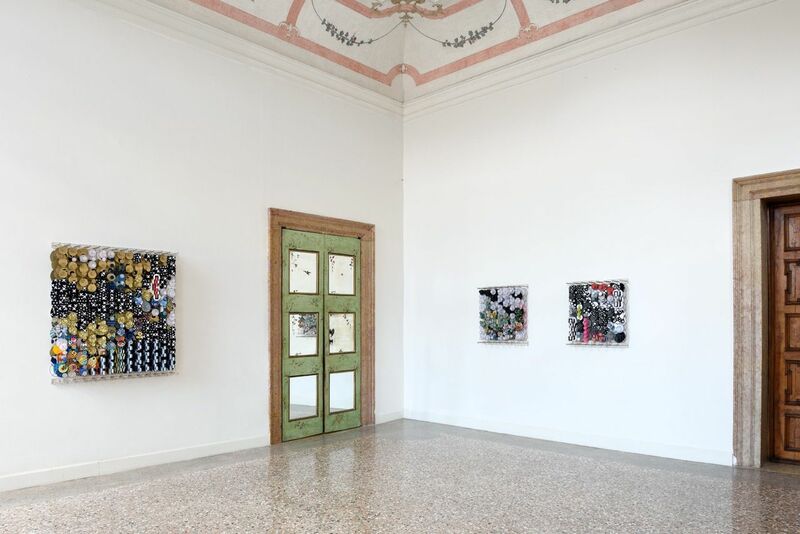 Jacob Hashimoto’s and Emil Lukas’ site-specific exhibition, The End of Utopia, is on view at Palazzo Flangini in Venice through July 30. 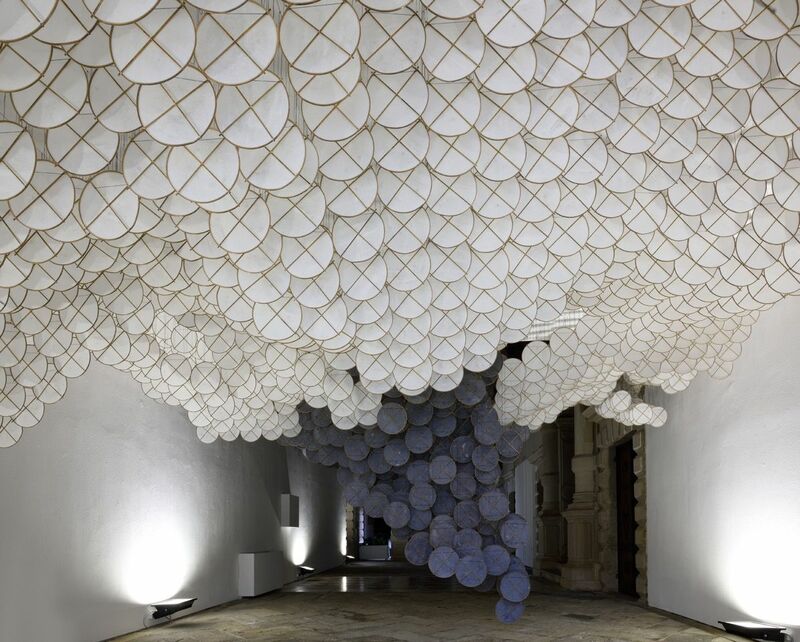 Hashimoto’s installations are made up of hundreds of miniature paper kites, which he masterfully arranges to create delicate illusions of movement, space and light. Within the context of humanity itself becoming the perpetrator, rather than victim, of planetary chaos, the exhibition considers questions such as: If art is arguably the interpolation of manmade schema onto nature—humankind’s order upon primordial chaos—then how does art’s meaning mutate, as we realize that the infrastructures, systems, and algorithms all originally designed by humans to bring utopia within reach, are in fact dooming its very viability? 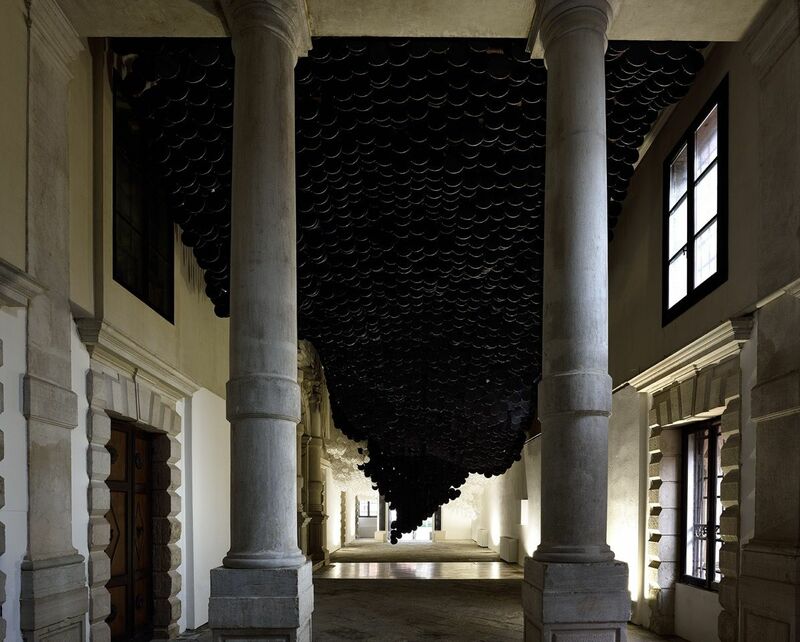 The exhibition is courtesy of Studio la Città in Verona.